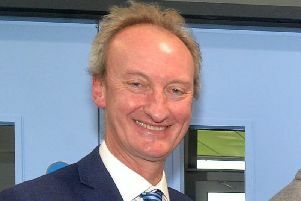 Plans for the new campus at the South Lakes had been bitterly opposed by a group called ‘Save Craigavon City Park and Lakes’. However the planning committee of Armagh, Banbridge and Craigavon Council gave the £45m project the green light. The campus is to be built close to the new £35m South Lakes Leisure Centre which is currently under constructions. The campaign group had cited environmental issues at losing the green space at Craigavon City Park for opposing the SRC building. They also believe there is a lack of foresight to deal with thousands of extra vehicles using the current infrastructure. The group plan on initiating an emergency judicial review into the decision. Last night a group spokesperson said: “Folks they unanimously approved. No elected representative voted in our favour!